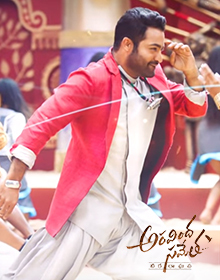 Nandamuri Taraka Rama Rao Jr. is one of the most favored actor in Tollywood and has a mass appeal among his fans. Born in the year 1983, Tarak (as he is popularly known as) is also a Kuchipudi dancer and a playback singer. The actor evolved in his fashion quotient and his recent look from Nannaku Prematho was well received and applauded. LISTED BELOW ARE SOME OF THE PRODUCTS FROM THE MOVIES OF THIS YOUNG TIGER.